When was the last time you gave of yourself freely, not expecting anything in return, with an attitude that demonstrated willingness and excitement to give? God never intended for you to live as an island, and keep what you have been blessed with for yourself. Whether it is with your time, gifts or talents or financial resources, loving others means giving to them. God will bless and increase you when you purpose in your heart to be a blessing to others. Your love for people is demonstrated in your willingness to give. Walking in love is the greatest commandment from God (Matthew 22:34-40). The Bible says that God so loved the world that He gave His only Son, Jesus (John 3:16). God is constantly giving of Himself as an expression of who He is—love (1 John 4:16). Therefore, it is important that you develop a consciousness of love and act on it by giving to others, just as God gives to you. Romans 5:5 says that the love of God has been shed abroad in our hearts by the Holy Spirit. This means that you have the capacity to love others with the love of God. Do you find it hard to give your possessions, resources or time to others? Begin to meditate on the love of God and let the spirit of love develop in your heart. When you develop the love walk and regularly exercise the spirit of love by giving to people around you, it will become almost second nature. God intends for love to be the distinguishing characteristic of those who believe in Him. Being selfish does not only mean refusing to give freely of your material possessions. It can also mean being selfish with your time, love and friendship. The moment you choose to withhold from others when it is in your power to bless them out of your increase and under the direction of the Holy Spirit, you are being selfish. When you make the choice to restrict or limit your giving, you restrict what God can do in your own life. One reason people maintain a position of selfishness is the fear of being taken advantage of. But when you allow the love of God to rise up in your heart, it will cast fear out. Selfishness will only keep you trapped in lack and hinder you from increasing. But when you allow yourself to become a distribution center in whatever area God directs you, you keep the flow of blessings coming your way. Second Corinthians 9:7 says, “Let each one [give] as he has made up his own mind and purposed in his heart, not reluctantly or sorrowfully or under compulsion, for God loves (He takes pleasure in, prizes above other things, and is unwilling to abandon or to do without) a cheerful (joyous, “prompt to do it”) giver [whose heart is in his giving]” (The Amplified Bible). Selfishness separates you from God’s provision for your life. Choosing to hoard the blessings God has given you is the opposite of love, no matter what the excuse may be. From the simplest act of caring, whether it is providing monetary or tangible resources for someone, or giving your time, wisdom or insight to someone else, the spirit of giving and love will not only allow God to meet someone else’s need through you, but it will also release God’s hand to meet your needs. Open your heart to the possibilities of how God will use you! Be willing to be a blessing to others even if it means giving something that is precious to you. You can rest assured that when you obey God in this area, He will bring it back to you more abundantly. Don’t be stingy, pass the blessings on. You will expose your life to tremendous blessings from God because you choose His way—love. Have you ever made a decision to change, and genuinely meant it from your heart? However, the more you attempted to make necessary adjustments in your life, your surroundings, friends and memories of the past kept dragging you back to your old ways? Or, you may have taken on a “lone ranger” mentality where you tried to do everything in your own ability, without depending on God or a support system of strong Believers. These are not uncommon occurrences in the lives of people who initially embark on the journey of change. In order to successfully endure the process of change, you’ll have to simultaneously disconnect from hindering relationships, behaviors and mindsets, and embrace the help of the Holy Spirit and others who can benefit your life. First, I can’t emphasize enough, the importance of disassociating from things that stop your growth, once you decide to change. You may feel comfortable with your old ties and relationships with certain people, but you must honestly evaluate them to determine if they are bridges to your next level, or burdens in your life. Everyone has a friend who is fun to be around, but doesn’t contribute to your spiritual growth as a Christian. I’m not saying to be mean to your old associates. The Word instructs us to walk in love toward others (Matthew 22:39); but you should not remain in close fellowship with people who aren’t going in the same spiritual direction. First Corinthians 15:33 says, “Be not deceived: evil communications corrupt good manners.” You will never reach your destiny if you hang on to people who are not beneficial to your advancement. When God spoke to Abraham to leave his country and what was familiar to him, he disobeyed God’s full directive and decided to bring Lot with him. As a result, Abraham experienced a period when God did not deal with him directly. He and Lot ended up separating because there was strife between them. Lot was family, but he was hindering God’s purposes in Abraham’s life. Like Abraham, change may even involve choosing God over family members and loved ones (Matthew 10:34—38). Yes, there will be people in your life you must break ties with, no matter how uncomfortable it may be. Ask the Holy Spirit to help you sever unfruitful relationships and trust Him to show you exactly what to do and say. Be encouraged and submit to the will of God for your life by agreeing with what He has to say about your relationships while in the process of change. As you disconnect from your past, be sure to rely on the Spirit of God. He is a helper and is standing by to assist you. As you let go of old relationships, ask Him for new ones that will help you grow. Divine connections from God are essential to your success; He never intended for you to be an island all by yourself. The right people in your life can be positive bridges to help you reach your destiny. Even in your daily life, you will need the power of God to help you sustain lasting change. The enemy will try to get you to accept his words and suggestions, all in an attempt to get you to revert back to your old mindset and life. When times of testing and temptation come, resist the devil by using the Word against him. Declare that you are a new creation and your mind is being renewed (2 Corinthians 5:17; Romans 12:1—2). When you begin confessing God’s Word, you activate the power of God to come in and give you the help you need during challenging moments. No one ever said change was easy. However, change is necessary and achievable when you do your part. Set your mind on the goal of achieving everything God has imagined for you and press forward. 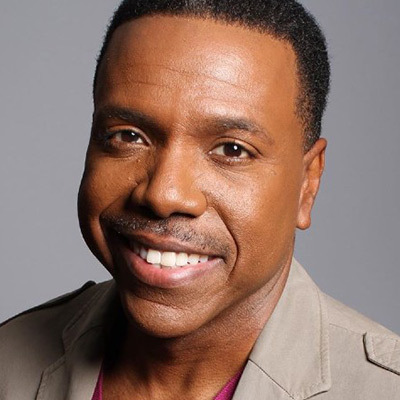 Creflo Dollar: Are You Loving or Selfish? Creflo Dollar on the set on Your World with Creflo with a guest. As a Christian, you are commanded to love everyone—the good, the bad and the ugly (John 13:34). It is not an option; you can’t pick and choose whom to love. The only choice you have in the matter is whether or not you will obey the commandment. Unfortunately, many believers are in a state of disobedience because their decision to love is based on feelings or on whether their love is returned. That is conditional, human love—it profits nothing. Others fail to walk in love because they believe that it is impossible for them to love as Goes does. They fail to realize that God would never ask anyone to do something that isn’t within their capacity to accomplish. Every born–again believer has the ability to walk in love. When you became born again, you received an “injection of love” from the Holy Spirit, Who came to live inside of you. As a result, you have an anointing, or God—given ability that makes it possible for you to love in a supernatural way. You can show affection toward others despite their actions. In addition, you are more than capable of retaliating the right way, which is according to the Word of God. Nothing in your life—finances, family, healing and so on—will work to its fullest potential until you let go of selfishness and perfect your love walk. To be selfish is to “regard one’s own interest;” selfishness is “a devotion to one’s own interest.” Selfishness and love are the two most powerful forces in existence. When you operate in one of these forces, you short–circuit the other. When you choose to love, you turn your back on selfishness. When you choose to be selfish, you turn your back on the opportunity to express love. There is no middle ground. You cannot love unconditionally and be unconditionally selfish as well. Selfishness is the root to all sin. Satan knows this. His goal is to get you to take your focus off of God and place it on yourself. This is what he did in the Garden of Eden. After the deception, Adam and Eve were no longer God–conscious; instead they became self–conscious (Genesis 3:1–5). Another important point to remember is that the root of selfishness is fear. Fear is what motivates you to protect yourself. That is why a selfish person is constantly in self–preservation mode. I know it’s not easy to respond the way Christians are supposed to, especially when someone is in your face saying hurtful things; however, Proverbs 15:1 encourages believers to respond with a soft answer to curb someone’s wrath. When you speak kind words to someone who may be mean as “hell,” you are creating an opportunity to love the hell out of them. Additionally, don’t rehearse negative thoughts; disperse them instead. Make a conscious effort to think thoughts toward others that are honest, just, pure, lovely, good, virtuous and worthy of praise (Philippians 4:8). Something powerful happens when you are willing to lose sight of yourself to put somebody else in focus. The way to get rid of selfishness is to get rid of fear. First John 4:18 says that perfected love casts out fear. Fear is dangerous. It opens the door for the Enemy to come in and wreak havoc in your life. It also produces negative forces like offense, strife and unforgiveness. However, love empowers you to the point that you will be slow to take offense and quick to forgive. Keep in mind that when you fail to develop in love, you fail to develop in character, which means you perpetuate a lifestyle of selfishness. God is looking for people of character. That is what being a Christian is all about—developing the character of God. Make a quality decision today to develop the character of love, because that, more than anything else, is crucial to your experiencing the fullness of God. The law of diligent hard work is a critical factor in you experiencing the abundance of God. Work is honorable and provides a channel through which God can flow His blessings to you. In examining this area of hard work, and looking at the practical skills you need to manage your life on an everyday basis, I want to zero in on the area of developing a strong work ethic. No matter who you work for, God honors the man or woman who has workplace ethics and operates with integrity on the job. Developing in this area will take some discipline, but the rewards are well worth the effort it takes. Ethics can be described as a set of moral principles, or a system of conduct. I don’t know if you are aware of it, but there is a system of conduct that must be adhered to where your place of employment is concerned. Since work is honorable, the guidelines set up at your office, or workplace, are important and help to maintain the integrity of that business. In addition to that, you should have a personal standard of conduct, as a child of God, which blends easily with your company’s standards. When you are a person who is teachable and obedient, you will do everything you can to abide by, and maintain, good ethics on the job. Servants, be obedient to them that are your masters according to the flesh, with fear and trembling, in singleness of your heart, as unto Christ; Not with eye service, as men pleasers; but as the servants of Christ, doing the will of God from the heart; With good will doing service, as to the Lord, and not to men: Knowing that whatsoever good thing any man doeth, the same shall he receive of the Lord, whether he be bond or free. As an employee of your company, you are the “servant” of your employer. Therefore, according to the Word of God, you should strive to be obedient on your job. You should also concentrate on making your job a service to God, and not to men. When you become conscious of the fact that God’s eyes are upon you, watching you work, and watching how you work, you will be mindful of how you use your time at work and how you do your job. Also, aim to maintain a positive attitude at all times. Ask God what attitude He wants you to have on your job. God is more concerned with your character than your career status. List seven ways you can increase your job effectiveness and contribute to your company. Other keys to maximizing your job are to smile a lot, do new things, come to work early and treat the company as if it were your own. Prepare your mind for work each day and ask the Father for fresh ideas, insight and contributions you can make on a daily basis. Learn a new skill and network with successful people in your field. You will be surprised at the progress you will achieve by making some simple adjustments. You should consider yourself privileged to be able to work and earn an honest living for yourself. If you don’t currently have a job, I encourage you to make finding one your priority. When God gives you the opportunity to work, do your job well. Developing a strong work ethic is the responsibility of every Christian; God won’t do it for you. Seek Him on how you can grow as an employee and take your company to the next level. When you do, you position yourself for promotion and increase.